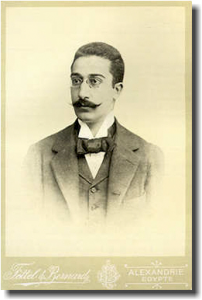 Constantine Petrou Cavafy (Greek Κωνσταντίνος Π. Καβάφης) (April 29, 1863 – April 29, 1933) is a renowned Greek poet who was born in 1863 in Alexandria, Egypt, to Greek parents. Following is an original text written by him in 1891, which is the first artifact clearly showing the questioning and the movement repatriating the Parthenon Marbles has started as early as 120 years ago. #1 | Written by Δημήτριος Κοντομηνάς about 3 years ago. I think this is among the so much significant information ffor me. common things, The web site style is great, the articles is actually nice : D.
#2 | Written by thanos about 9 years ago. And that was written only a century ago. What the next century holds? British museum, Give Back The Marbles. Its the only honorable thing to do.